Perkasie, Penna. – May 6, 2014 –Peter Gabriele, Vice President, Research and Development at Secant Medical, will be the keynote speaker during the 9th Annual Research Symposium at Johns Hopkins University on May 13. The event takes place from 6:00 pm—8:00 pm at the University’s Montgomery County Campus in Rockville, MD. Gabriele’s address, titled “Mummery be Not a Cure”, which begins at 7:00 pm, will reveal critical biomedical challenges confronted by researchers in the regenerative medicine field, including the consequences of exposing manmade materials to the human immune system. “I have been on a crusade to integrate more science into technology and for the medical device industry to take a less superficial approach to device design,” said Gabriele. “I will challenge the audience to answer this question: Are we truly using our integrated understanding of biotechnology and biomedical engineering when we develop new tissue-engineered and implantable solutions?” Gabriele will also discuss the need for engineers to consider biocompatibility with the immune system to prevent medical engineering failures in the creation of next-generation regenerative medicine devices and how Secant Medical’s new bioresorbable elastomer, Regenerez™, can help meet the needs of the implantable device industry. About Johns Hopkins University 9th Annual Research Symposium: A special event featuring student presentations, a networking reception and a special keynote address from Peter D. Gabriele, Vice President, Research & Development, Secant Medical. 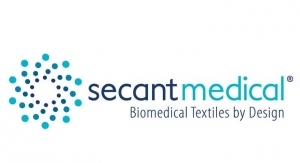 About Secant Medical: Secant Medical provides advanced biomaterials and biomedical textile structures to the medical device industry. 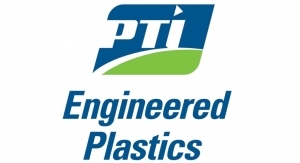 We partner with clients to design, develop, and manufacture high-performance biomedical structures for applications in cardiovascular, neurovascular, orthopedic and general surgery. Built on a 70-year history, we’re committed to the future of regenerative medicine and actively engage in research partnerships to advance next-generation biomaterial technology into practical applications for the medical device and pharmaceutical industries. Secant Medical is a business unit of Fenner PLC, a worldwide leader in reinforced polymer engineering headquartered in Yorkshire, England. For more information, contact Maria Fontanazza at 215-257-8680 x2192 or maria.fontanazza@secantmedical.com; or visit www.secantmedical.com. More Content From Secant Medical Inc.